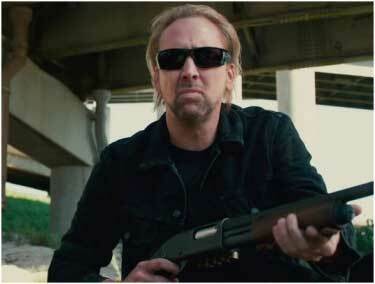 Action superstar Nicholas Cage looks dapper in the Oakley Fuel Cell sunglasses. A gunslinger who cannot die and hailing from Hell, these black shades give an appropriate look to Cage with a complete black outfit. The frames are thick which fit perfectly onto the wearer’s face preventing slipping. Kudos to Nicholas for playing the rough and tough and helping him out with that – the Oakleys!